Occasional columnist James Russell looks at three factors that have caused Vale to be in danger of losing their league status. he fate of a football club can often be decided by fine margins. A referee decision here, an individual error there but the case of Port Vale’s recent demise is far more clear-cut. It has been down to a string of bad decisions over the last couple of seasons in particular that has seen the proud club drop to a position where relegation out of the Football League is a real possibility. The club, founded in 1876, have never played in the English top flight and hold the record for the most seasons in the Football League without doing so, currently 105. They have also never been relegated out of the Football League but this could change if they don’t pick up enough points this season. Port Vale had a terrible 2016/17 campaign culminating in relegation to League Two and things have got no better in 2017/18. The Valiants are one of a number of clubs now deep in a relegation battle. Bookmaker Betway has Vale at 12/1 to be relegated as of March 5, with their closest rivals Grimsby and Crewe at 9/2 and 4/1 respectively. In 2012/13, the club finished third in League Two after manager Micky Adams assembled a squad of free transfers and got the team playing an attractive attacking style.During the 2012/13 season, which Vale had started in administration, Norman Smurthwaite and his business partner Paul Wildes took over the club for £1.25m and added some experienced players during the January transfer window to get them over the line. 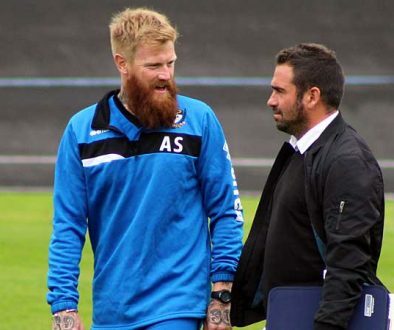 The promotion looked like being a springboard for the club to hit further success and the initial signs were promising. Micky Adams led the team to a very respectable ninth place finish in the club’s first season back in League One but he left during the summer after a protracted contract disagreement with Smurthwaite. The owner claimed to have offered Adams a new deal but the manager said that it failed to materialise. This is the first decision that, in hindsight, looks very misguided. 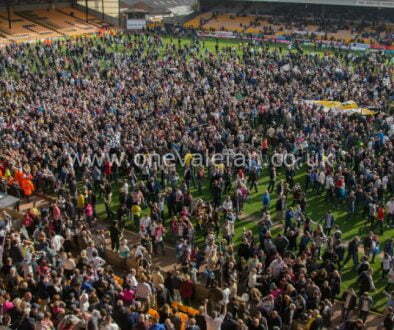 Port Vale had been progressing steadily under Adams and this was achieved with very little resources. The club should have moved heaven and earth to keep him at the helm. Following Adams’ departure, Rob Page was given the reigns of a side that contained some promising young players and pros including the likes of Enoch Andoh, Remie Streete and keeper Jak Alnwick. He steered the side to a safe 18th place finish and then finished the next season in 12th. The signs were good but then the real drama took place. Following Port Vale’s FA Cup defeat to Exeter, an unhappy Smurthwaite decided to put the club up for sale. His knee-jerk reaction due to the poor performance was down to his investment of a reported £800,000 more than he had budgeted for. Little could the fans have foreseen the dire consequence born out of this decision. 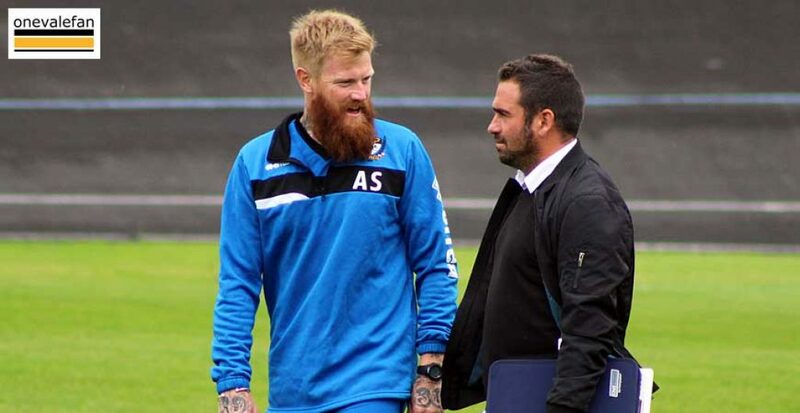 Page left to join Northampton Town and Smurthwaite, encouraged by positive references he received from the likes of Jose Mourinho and Aitor Karanka, appointed Bruno Ribeiro to be the new Vale boss. With the new manager came a number of foreign players that had no experience of English football let alone League One. Needless to say, the results were disastrous and Ribeiro left the club following the 2016 Boxing Day defeat to Walsall with Smurthwaite saying “he felt a little bit hoodwinked” by the positive references he had received for the former Leeds and Sheffield United player. The club then appointed Michael Brown as caretaker manager until the end of the season but, despite his efforts, a poor transfer window cost the club and Vale were relegated. Their form failed to improve and then Smurthwaite appointed club legend Neil Aspin as the new boss with another club legend in John Rudge joining as his director of football. Things improved with Aspin finally getting the club a win by beating Cheltenham 3-1 on October 14th. Following the excellent form in December that saw the team go unbeaten, winning four of their five matches, fans started to believe again. If January business could see the team strengthen many thought Vale could have an outside shot at the play-offs. Instead of getting stronger in January, Vale, in fact, got weaker. They let Gavin Gunning go to relegation rivals Forest Green. They sent left-sided player Tyler Denton back to Leeds and another defender, Tom Anderson, was recalled by Burnley from his loan spell. Form fell apart as new additions with little league experience proved to be inadequate. Vale now have a real battle on their hands to stay up with former manager Micky Adams urging owner Norman Smurthwaite to sell the club before it is too late. If Port Vale do go down, then there is no guarantee that they would bounce back quickly, as clubs like Wrexham would attest. Also, with a number of director loans now due, finances could become a real problem and fans have some genuine concerns about the club’s long-term future. For now though, staying in League Two will be the priority and all at the club will be working towards this end.